There are numerous types of septic systems, and if you're a homeowner it's very important that you understand this system because it's your sole responsibility. Not all homeowners have to be concerned, because if your home is hooked up to municipal water and sewer then you will not have a separate system or require a drainage field or storage tanks. If you do have one of these systems you need to know whether it's a conventional or alternative septic system, and exactly how it works. 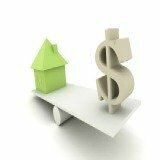 Septic system problems can be expensive, and if your system needs to be replaced the price can be devastating to your budget and even your savings. If you're building a new home then a perc test will need to be performed before a system can be installed, to determine the absorption rate in your soil. Test holes are dug and then filled with water, and the absorption is determined at a rate per minute. Because there are many types of septic systems you should know what type is installed, what maintenance is required and other relevant information about the system with your home? If there are any problems you're responsible for resolving them, and if your system breaks down you could end up with sewage ponds in your yard because of a drainage field malfunction, which is a health violation. All types of septic systems basically work in the same process; the difference is the treatment methods used once the waste has left your home. A main pipe carries all wastewater and waste solids from your home and these materials are either stored as solids or treated and filtered before being released into the groundwater eventually. Septic system treatment or pumping is usually required every three to five years for conventional systems, and if this is not done then you could risk a septic backup or overflow. 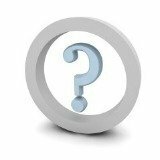 If a replacement is needed the septic system cost may be a factor in which system is used to replace the broken one? There are two main types of septic systems, and these are conventional and alternative septic system types. Conventional systems include gravity distribution systems and pressure distribution systems, and these are the traditional systems which include a drainage field, septic tanks, gravel, soil, and a pipe which carries the wastewater from your home. Alternative Systems can include mound septic systems, drip irrigation systems, and aerobic treatment unit systems. The description of these systems are below. Conventional types of septic systems can handle both wastewater and solid waste, and breaks down the solids in the tank into sludge while separating any grease and oils which will float to the top to form a scum layer. An alternative septic system may have a different function and may not be able to handle blackwater waste, only graywater waste depending on the specific system chosen. The various types of septic systems each have certain advantages and disadvantages, and your specific location, soil type, ground absorption rate, and other factors will determine which system type is best for your home. 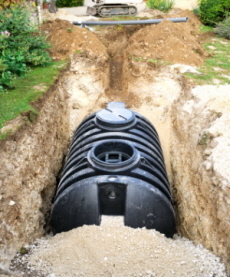 If you have a small lot or thin soil over bedrock then an alternative septic system may be the only option available, depending on the building codes where you live. How Do The Different Types Of Septic Systems Work? Conventional System - A pipe carries all wastewater from your home, and it's sent to a storage tank where the solids and water are separated. The solids form sludge, while the water is sent to the drainage field where it is slowly released into the soil for filtration. Gravity System - A conventional system which uses gravity to force the wastewater out into the drain field. These types of septic systems use gravel as a filter. Pressure Distribution System - A conventional system which involves the use of a pump. The pump forces the wastewater out of the system to drain more effectively, so most new conventional systems use this method. 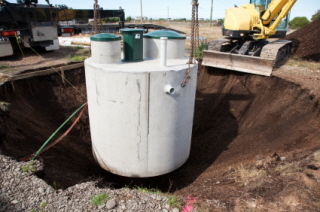 Aerobic Treatment Unit System - This type of alternative septic system uses oxygen which helps to break down the solids much faster, and results in cleaner water being discharged from the system. These systems do not experience septic system problems as often, but they must be closely supervised and maintained at all times. Drip Irrigation System - This is one of the types of septic systems that are very flexible, and these systems can be placed in many different types of soil. When you have a drip irrigation system, the water is slowly distributed evenly through the drainage field. This makes sure the soil will not become saturated and the system is more effective. Mound Septic System - This system uses elevated ground in some cases when there is not adequate soil for a conventional system. 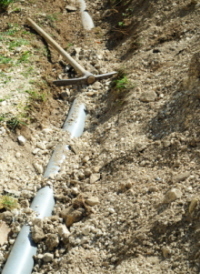 The drainage is directed to an area with a higher elevation, so that the water must filter through more soil or sand before reaching the groundwater. Intermittent Sand Filter System - This system has extra filtration, because water is sent through an additional sand filter before it is released into the soil. These systems can be found in homes, commercial buildings, and even institutions. Recirculating Sand Filter System - This system contains an additional sand filter as well, but it also involves another loop through the system so that the water discharged has been treated twice by the filters before release. Evapotranspiration - This is one of the types of septic systems that combine plant transpiration with evaporation, and this type of system will require a pre-treatment tank. This type of system is only ideal for the southwest area of the country. Evapotranspiration / Absorption Systems - These systems use plant transpiration, evaporation, and absorption, so the water is filtered more effectively. The pipes are placed in gravel, which are then covered by sand, and then certain types of vegetation are planted over the area. Chlorine Disinfection Systems - This alternative septic system uses chlorine to disinfect wastewater, and chlorine causes cellular material to oxidize. There are many ways that chlorine can be added to treat the water, and this is the method that most municipalities use to disinfect drinking water. Ozone Disinfection Systems - This is one of the more expensive systems as far as septic system costs are concerned, and ozone is used to disinfect and treat the water. Ozone is also known to oxidize cellular material, and this unstable gas is generated by using an electrical current and either pure oxygen or air that is dry. Ultraviolet Disinfection Systems - This is another of the disinfectant types of septic systems, and with this system ultraviolet radiation is used to treat and clean the water. When this radiation is absorbed by the microorganisms in the effluent and solids then the microorganisms cannot reproduce rapidly. Glendon BioFilter System - This proprietary alternative septic system uses many layers of alternating sand and gravel placed in a container which is watertight and sealed. 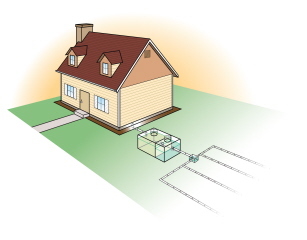 The wastewater is pumped into the box on the bottom, and the effluent must work through the various layers to the top of the box to reach the soil. AdvanTex Filter System - This system involves using a sealed watertight container which contains a textile material bed to filter the effluent. The advantages are that a smaller space is required and more effluent can be treated effectively. All types of septic systems require proper care, and there are some general tips that you should follow no matter what type you have. You should never use any drains or the toilet to dispose of hazardous waste, drugs and medications, or other harmful substances which may not be completely removed by the filtration the system uses. Septic system treatment should be performed every so often, usually on an annual basis. This may involve adding specific microorganisms to the tank to encourage solid waste elimination and break down all of the sludge. Take steps to keep rainwater away from your drainage field. If the field is flooded with rainwater then the soil will not absorb and filter the wastewater, and this could cause septic system problems. All types of septic systems should be inspected regularly, to ensure that the level of sludge and solid waste is appropriate and that all of the filters are in good working order. Every three to five years you will need to have most systems pumped out, and this should not be neglected. Try to conserve water as much as possible, so your system is not overloaded because this can have a big impact on the effectiveness of the system. Fix any leaks in your home to minimize the amount of water that goes through your septic system. One of the most important tips is to prevent any trees from growing within at least one hundred feet of your system, whether it is a conventional one or an alternative septic system. Tree roots can cause a lot of damage to these systems, and may cause them to rupture, overflow, leak, or even need replacement. The uses of a garbage disposal can double the amount of solids that all types of septic systems must process. If you cannot live without this device you should at least choose one that cuts up any food into tiny pieces versus larger chunks. One important piece of advice is to use harsh household chemicals as sparingly as possible. These chemicals can damage your system and affect the way that the water drains, and they also kill off the good bacteria which helps digest the waste and break it down. Always be careful not to place any heavy weight on your drainage field or over any other component of the system. Driving over these areas or causing weight to bear down on them, can lead to septic system problems and damage. Even an alternative septic system should be regularly examined, because this inspection can identify any small septic system problems before they can become much bigger. Newer systems may have risers so that it's easier to find and to inspect the septic tank and other components. A common mistake homeowners make with all types of septic systems is not performing an inspection often enough and this can result in high replacement septic system costs. Since this system is your responsibility you want to keep it working properly and effectively. A periodic inspection will help you do this. It is recommended that you check your system on an annual basis, and this should be done at the same time of year every time. This inspection can save you hundreds or even thousands of dollars on septic system cost, and prevent any serious health threats because of sewage leakage or overflow. Types of Septic Systems: Which One to Add To Your New Home? 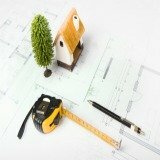 With all of the many types of septic systems which one should you use for new construction? 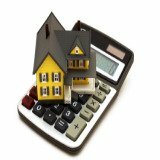 The answer will depend on the available space that you have, the amount of waste and water that you use, the size of your family, and your budget. Before you'll receive approval from your municipality or building inspector to install a conventional or alternative septic system there are some steps you will need to take. You will need to have a perc test done to ensure your soil is adequate for a system, and you will need to ensure that there is enough land available for the system you prefer. All types of septic systems may work well in some locations, but in other locations the possibilities may be much smaller. In some places and terrain types, a mound septic system, drip irrigation system, or other type may clearly be the best choice. Compare the advantages and drawbacks for each one of the different types of septic systems you are thinking about installing. When you do this it should become quickly clear which systems are right for all of your factors, and which ones will not work for some reason.